Ankle Tendinitis, also known as Peroneal Tendinosis is an overuse injury where one or both of the peroneal tendons around the ankle get inflamed. Due to the nature of overuse injuries, RICE treatment is recommended. Rest, Ice, Compression and Elevation. Compression will help reduce pain and inflammation. 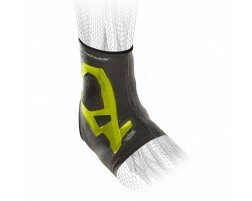 The following braces and ankle sleeves provide compression where the peroneal tendon lies in order to target the injured area. When choosing a brace for ankle tendonitis, ensure that it is providing support laterally (outside) and along the peroneal tendons which lie just under the ankle bone.